Cat's Stuff: Direct Sales: Fun or Frustration? Direct Sales: Fun or Frustration? After many years of debating on whether to join the ranks of direct sellers, I finally decided to give it a go. I chose Scentsy because 1) I LOVE the product, 2) the start-up kit was only $99, and 3) it didn't seem to be around as much as some of the other companies. I just moved to northern PA and I thought this would be a great way to meet people and make some money at the same time. I will admit that I did not do as much research as I should have (i.e. company policies, compensation plans, etc.). I figured that if I loved the product, that would be enough for me to get some parties, make some sales, and have some fun. Boy was I wrong! No one told me that until I get that solid customer base, I will have to come so far out of my comfort zone to get people interested. I have never done this before. I'm not a salesperson ... I don't have that 'I can walk up to anyone anywhere and start talking about anything' personality. When I signed up, I was under the impression I was going to have some help getting this business off the ground. Boy was I wrong again! My sponsor was a friend of mine who lived 600 miles away at the time. And while we called each other from time to time, she really didn't have much insight for me ... she was pretty much in the same boat. I NEVER heard from my director! Everything I have done for my business I picked up on my own, scouring the web for ideas and helpful hints, lovingly borrowing anything I can from other Scentsy consultants. 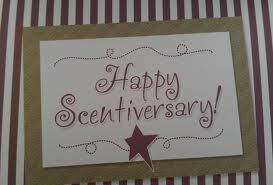 So it has been three years this month since I joined Scentsy. I really do love the product and see total potential in my business. And even though I never meant for Scentsy to replace my full-time income, it is just so discouraging to not have it grow the way I saw it in my mind. I thought for sure by now I would have my own team, and treat them so much better than I was. I know they are out there somewhere! I hope I didn't scare anyone away from a direct-sale opportunity. I love my business, I just haven't found a way to may it work for me ... yet! If you are considering starting your own direct sales business, just make sure you do your homework. Research everything you possibly can about the prospective companies and pick the best one for you. After all this, I would choose Scentsy again ... but I would have definitely asked a lot more questions first.